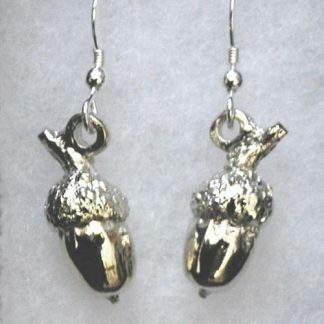 Silver acorn cufflinks hand made by The Metal Press in Pembrokeshire! 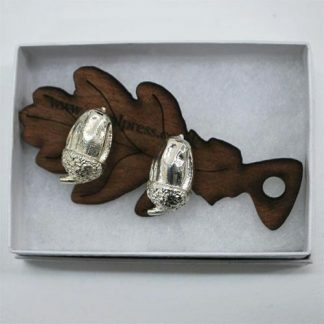 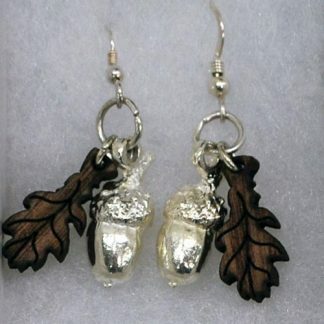 Acorn cufflinks cast in pewter and silver-plated with wooden oak leaf keeper. 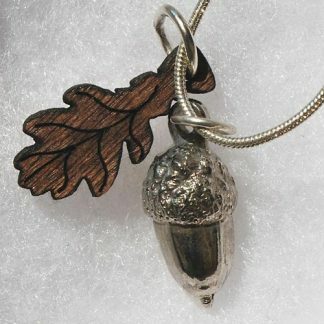 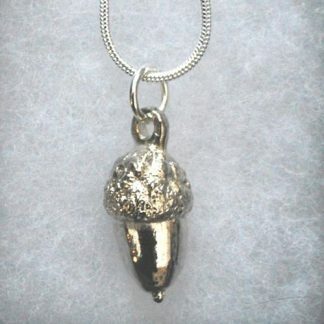 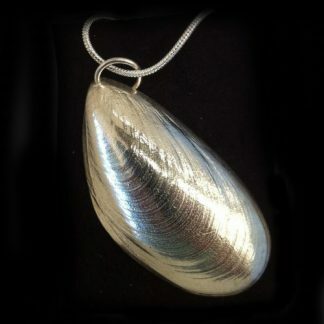 Original acorn was found by Harry and Oska in Minwear Woods, Pembrokeshire.